Thirty-two Montana authors, one very special place. “When multinational companies aspire to tear through one of the most pristine ecosystems in the world for the sake of the gold underneath, the only civilized response is outrage. And if you’re a writer, an artist, the most natural corollary to outrage is creation. Building something beautiful in the face of a prospect that is unspeakably ugly. With Unearthing Paradise, some of the best writers in the Rocky Mountain West come together to speak against the possibility of gold mines in Montana’s Paradise Valley and the border of Yellowstone National Park. 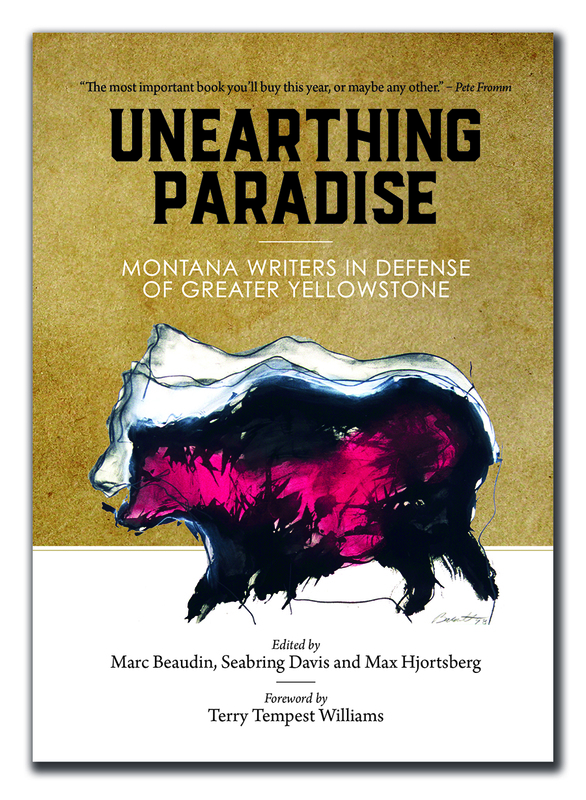 An urgent and compelling call to arms as well as a significant work of art in its own right, Unearthing Paradise is a must read for anyone who cares about Montana, about the greater Yellowstone ecosystem or the simple justice of preserving an invaluable public resource against private exploitation.